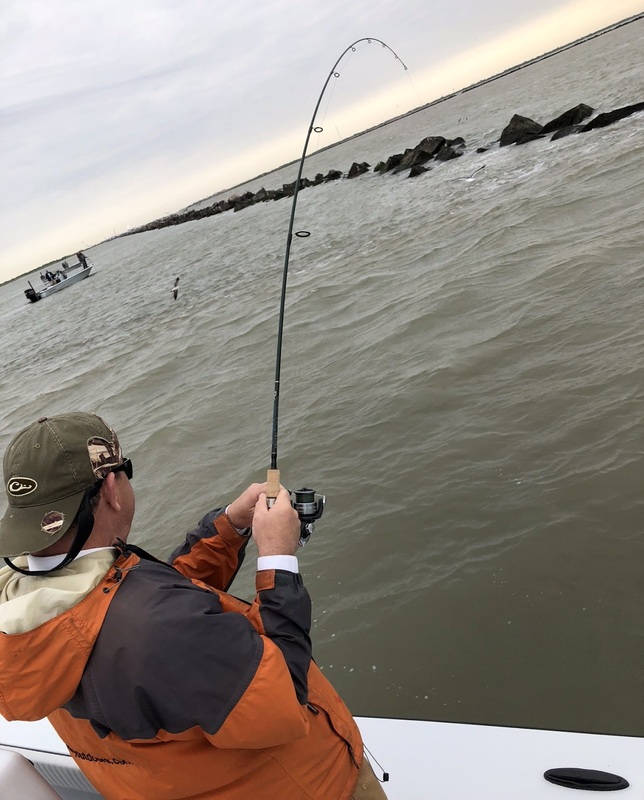 Fighting redfish off the jetties - Again! 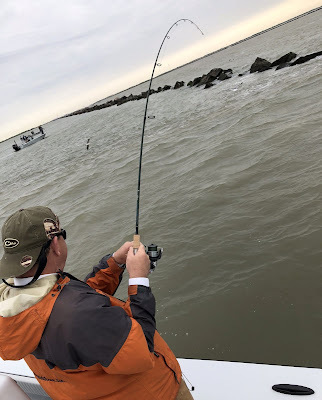 It's hard to comprehend, but I am toasting the completion of 10 years of blogging on Lowcountry Outdoors, communicating about life in the field, and sharing the lessons learned along the outdoors trail. I remain very thankful for those that carry my byline like the Charleston Mercury and the Colletonian newspaper. My magazine publications cover topics ranging from hunting and fishing to conservation, and I always stay watchful for Field Notes to share. Opportunities to visit other states are fostered by tourism officials and as a Field Expert for Drake Waterfowl outreach can occur anywhere. I look forward to working in 2019 towards more blog entries that educate about our sporting heritage and how being active in them helps to preserve habitat for all wildlife. It's always a compliment when my phone rings and someone has a story they want to share and I look forward to those friendly acquaintances to continue in the future. Live well in 2019, and keep one's health and reputation in mind at all times!! A variety of climactic conditions are coming together right now, giving good reason to gaze into the hardwood bottomlands of the Lowcountry. Ivanhoe Creek runs through the middle of Walterboro and is bringing increased water flow to the Great Swamp with roughly five-inches of rain in December. With the leaves now off the trees, it’s a great time of year for a walk down the nearby boardwalk. No time for a hike? The repaving of Ivanhoe Road from Washington St. to Jeffries Blvd. makes it a delightful drive through the heart of the Walterboro Wildlife Sanctuary. While Mother Nature is doing her part to beautify the Great Swamp right now, I noticed roadside bushogging by the City along Jeffries Blvd. this week that really improves the view inward. It made me wonder if the next layer of growth along the roadside could be mechanically controlled, in order to double up the viewing window down into the swamp. That view reveals the damage done by Hurricane Matthew when a combination of flooding rain and strong winds brought down the top-heavy hardwoods. The winter flooding comes and goes, but when water levels are elevated the swamp has more life to it. A strong current comes down the strait channels, while eddies form and spin off along the curving streams. Sunlight reflects off the moving water up onto the side of standing trees, giving even more depth to the experience. Cooler weather means less chance of insects and reptiles, but the swamp is still their home and it pays to be watchful for critters. Likely the best winter wildlife viewing involves bird watching since migratory songbirds are looking for habitat in hardwood bottomlands like the Walterboro Wildlife Sanctuary. 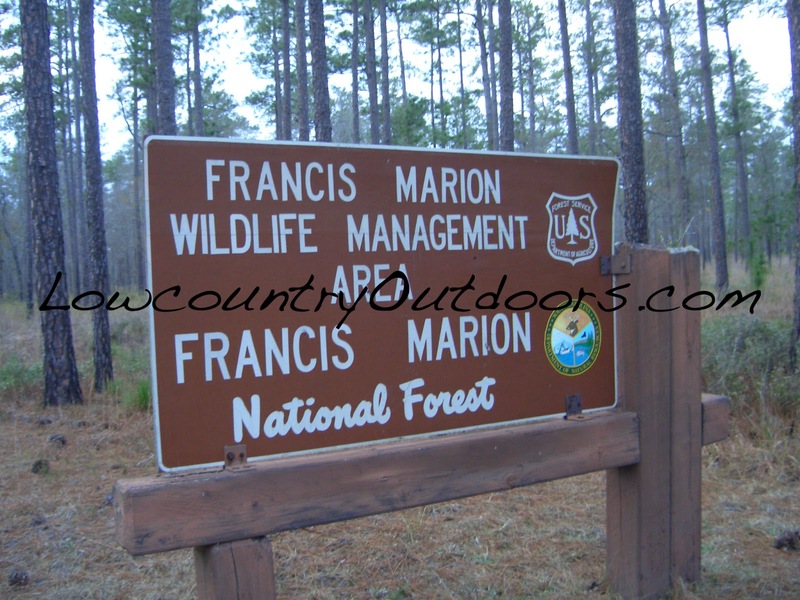 The recent history of the Francis Marion National Forest just north of Charleston is well known after being brutalized by Hurricane Hugo. Now in 2018 more forestlands in Southwest Georgia have taken a similar blow from Hurricane Michael. What lessons can be applied from the Hugo model to help the renowned quail hunting grounds in Georgia to recover quickly. With ten times more debris on the ground after a catastrophic hurricane, prescribed fire seems a likely solution. 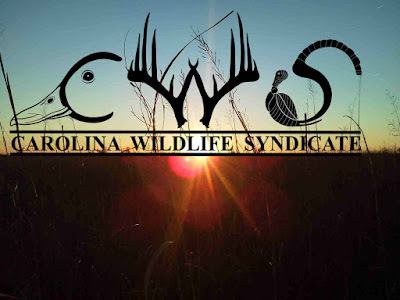 The recently formed Carolina Wildlife Syndicate, made up of public land hunting enthusiasts, supports the use of prescribed fire in the Francis Marion and applauds the new Good Neighbor Authority program. On December 12, 2018 the U.S. Forest Service announced a new 10-year conservation partnership with the S.C. Forestry Commission and the S.C. Department of Natural Resources. Rather than listing this as a Memorandum Of Understanding, the agreements are called the Good Neighbor Authority and Stewardship Contracting. With 250,000-acres of land, and still growing, the need for inter-agency cooperation is ever present, but the overlapping management plans in place thus far have not gelled when it comes to wild game species recovery. David Strickland of Mount Pleasant is the founder and lead moderator of the Carolina Wildlife Syndicate (CWS). “The CWS was created to unify the public and private land hunters, to provide a voice to communicate with each agency and the associated political networks,” said Strickland. “We support the new agreement in the Francis Marion and view this as just a step towards proper habitat management for bobwhite quail,” said Strickland, a wild game management consultant. “We support the use of traditional prescribed fire which must include proper timing, return intervals and fire intensity. We have documented areas of intense thermal pruning in the Francis Marion where fire is applied every two years, and that practice must be modified. To view past blog entries about hunting quail in the Francis Marion click on 2013.